Many things combine to make the present increase of false doctrine especially dangerous. 1.) There is an undeniable zeal in some teachers of error—their “earnestness” makes many people think they must be right. 2.) There is a great appearance of learning and theological knowledge—many think that such clever and intellectual men must surely be safe to listen to. 3.) There is a general tendency to completely free and independent thinking today—many like to prove their independence of judgment by believing the newest ideas, which are nothing but novelties. 4.) There is a wide-spread desire to appear kind, loving, and open-minded—many seem half-ashamed to say that anybody can be wrong or is a false teacher. 5.) There is always a portion of half-truth taught by modern false teachers–they are always using scriptural words and phrases, but with unscriptural meaning. 6.) There is a public craving for a more sensational and entertaining worship—people are impatient with the more inward and invisible work of God within the hearts of men. 7.) There is a superficial readiness all around to believe anyone who talks cleverly, lovingly and earnestly, forgetting that Satan often masquerades himself as an angel of light (2 Corinthians:11:14). 8.) There is a wide-spread ignorance among professing Christians—every heretic who speaks well is surely believed, and anyone who doubts him is called narrow-minded and unloving. He was spiritually awakened in 1838 while hearing Ephesians 2 read in church. He was ordained by Bishop Sumner at Winchester in 1842. 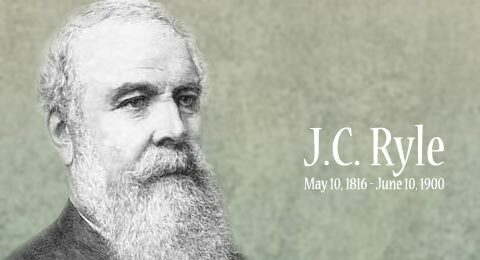 After holding a curacy at Exbury in Hampshire, he became rector of St Thomas’s, Winchester (1843), rector of Helmingham, Suffolk (1844), vicar of Stradbroke (1861), honorary canon of Norwich (1872), and dean of Salisbury (1880). In 1880, at age 64, he became the first bishop of Liverpool, at the recommendation of Prime Minister Benjamin Disraeli. He retired in 1900 at age 83 and died later the same year.